Longaniza or longganisa in Filipino, is a kind of sausage that was first introduced by the Spaniards during the colonization era. 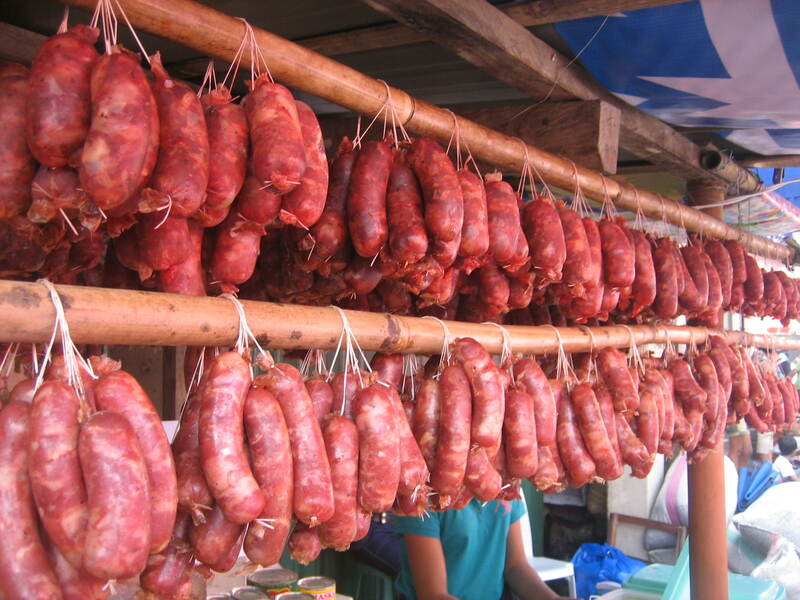 It is closely similar to chorizo where in a ground pork is the main ingredient. Region by region has its own trademark in preparing it. But in the Philippines, the most famous maybe of its variants are the Lucban and Vigan. From the province of Quezon, aside from being the Pahiyas Festival Capital, Lucban is also known because of its longganisa. Its sausage is identified for its aromatic and garlicky smell. From the ground pork, they mixed herbs such as the oregano, a squeeze juice of lemon grass and basil leaves. Carefully stuffed on a pork casing using the funnel and tie both ends with a buntal fiber. Typically, Lucban longganisa has a reddish color because of achuete. 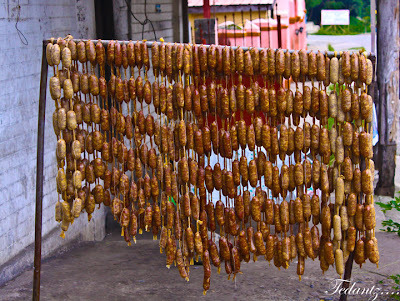 Similar to Lucban longganisa, the Vigan version has also the garlic flavor. But aside from being garlicky it is also sourly and salty with the distinct pungent aroma. Thanks to the Ilocos native garlic, a small but powerful spices. These garlic bits are finely combine and blended to the ground pork. The annato powder, paprika, ground pepper, kinchay, and sukang iloko will complete the sausage. The color of this sausage is more into yellowish. The next time you buy from the supermarket you can now differentiate Lucban from Vigan longganisa. How Do You Carry Kare-Kare?